The Kirkland Classic Car Show brings out the real show queens of the Pacific Northwest! 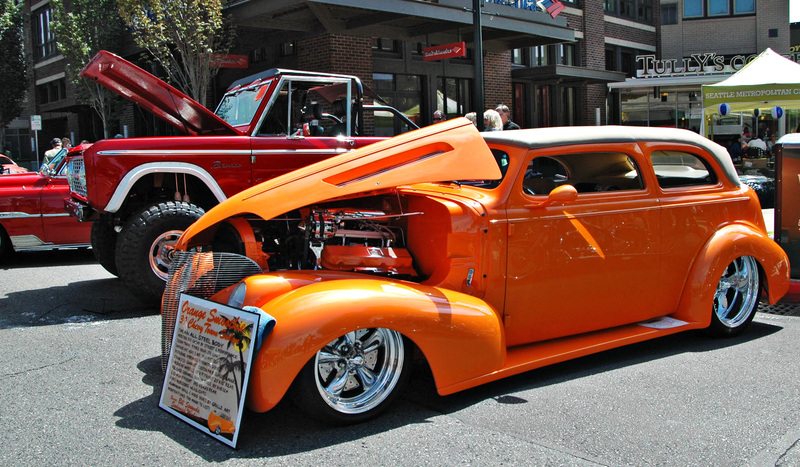 Classic customs, hot rods, and low riders oozing quality craftsmanship filled the streets of downtown Kirkland. It’s a great venue for a show since anything you could possibly need is within walking distance. Despite the enormous crowd and short time spent at the show it was a pleasant surprise to find a decent set of images on the camera. We’ll be sure to spend more time at this event in the future! You can view the entire set here. Aw, this looks awesome! When was this? Digging the metal here, my kind of style.